A GMC SUV is always a great choice if you are looking for something a little bit bigger than a Lincoln Town Car. Our GMC SUV’s are always great for individuals looking for more of a VIP experience than using a Lincoln Town Car. 1st Class Transportation maintains each and every vehicle to ensure that our customers get the best vehicle available. Whether you are looking for Airport Transportation, or Corporate Transportation to a meeting or corporate event. 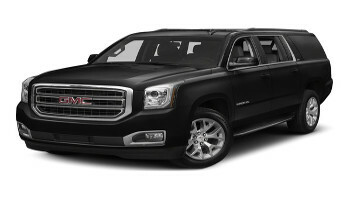 If you have any event that needs to be able to hold 4 people, the GMC SUV is a great option.